The elements of your signage include menu items, prices and photographs. A good software should let you update items and prices quickly, such as when you run out of the day’s specials. The menu items, prices, and photographs are the “meat and potatoes” of your signage, and may be, depending on your restaurants, actual meat and potatoes. 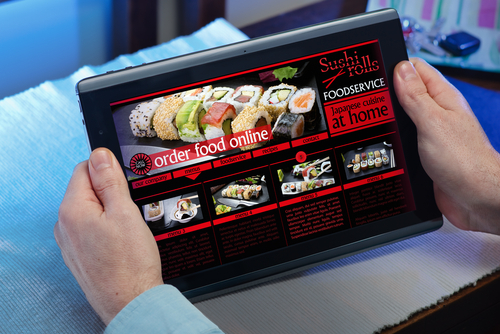 The more appealing your menu board, the more your customers will want to read it. Animated content draws in people, and interested people are more likely to try something they otherwise would have skipped — but don’t overdo the animation. Too much animation is a lot like deciding to bake something at a higher temperature and shorter time than what the recipe calls for. Want to add something new to your menu? Or maybe you receive more of something than you ordered, and rather than return it, you give your chef free reign to incorporate the item into a new recipe. As easy as, well, pie, you can add the item to your menu board, and once it sells out, remove it. Too many avocados? Spotlight your homemade guac and watch your supply disappear with chips and something from your bar. You can easily update your menu board content for day to day changes and for limited-time offers. A digital menu board gives you more leeway to test dishes, get fairly quick feedback from adventurous customers, and decide if you should include it as a regular dish. Then there’s the cost to consider. The cost of changing a print menu is high at one location, let alone if you oversee a chain of restaurants. Now multiply that cost of making one change by the number of times each year you change your menu. You can invest that savings back into your restaurant, and, in time, the digital menu board will pay for itself. Let’s pivot away from the practical benefits of deploying a digital menu board and look instead at how it will change the lives of your employees. A digital menu board does away with having to put out different menus at different times of the day. Shifting from your breakfast menu to your lunch menu, and then from your lunch menu to your dinner menu, takes no added effo­rt on your part. Simply schedule the appropriate to display during the times of day when people can order from it. Want to include health and nutrition information? Digital menu boards let you do that and then some (dim sum?). Pick icons that correspond to type of dish (e.g., lighter fare, hearty man special, etc. ), and let guests easily see the health benefits inherent in each item. And don’t forget the intrinsic value of adding health information – your guests know you care about what they eat, and about the ingredients you use in your dishes. Wow your guests with technology that modernizes and streamlines their experience. Digital menu boards are completely customizable regardless of type of restaurant you run. You may opt for a full digital multi-screen conversion, or you may want to make available information digitally or in print — whichever works best for your objective and brand. Deploying digital menu boards is a win-win, which means you can have your cake and eat it, too!